From his early days as a junior at Brixton, Eric Boateng dreamed that when Great Britain competed at the Olympic Games, he would be part of it. A dream that sounded far-fetched nearly seven years ago is now a reality. The moment London were awarded the Games, the sports that struggled to compete with the nation’s national sport of football had hope, it had a chance. Basketball was one of those sports. The London-born forward has had his season cut short however, when Boateng injured his foot, sustained in a Greek league game between his side Peristeri and Olympiacos. The injury turned out to be thrombosis of the foot, meaning that Boateng could end up watching Great Britain from the sidelines instead of contributing on the court. The big man is confident that he will feature for Team GB in London, despite an estimated 4-6 months on the injured list. “I definitely have a challenge ahead of me but I am confident I can overcome it,” Boateng said. While Boateng returns in time for the start of the Games, preparation is everything, and coach Chris Finch will have a selection nightmare when the time comes to pick his preliminary squad, with Pops Mensah-Bonsu, Dan Clark, Joel Freeland, Ryan Richards and the vastly improved Matthew Bryan-Amaning all fighting for the forward slots available. While thrombosis of the foot is a serious medical injury, Boateng still isn’t calling it quits just yet. “It is still early days for me so I am trying to figure out the full scope of things as well as understanding what I am physically able to do,” he explained. The former Arizona State alumni maintains his usual confident and positive attitude, a survivor of Great Britain’s inaugural campaign in European Division B of 2006, back when Eurobasket was a distant thought for British Basketball. Boateng was in Finch’s Eurobasket plans in 2011, after missing out in 2009 when he was amongst the last group of players cut from the roster. The absence of starting forward Pops Mensah-Bonsu meant that the Brixton junior had his big chance to show Finch how far he had come. He averaged a point and two rebounds in eight minutes of action, but it was the little things that Boateng did that impressed Finch, his strength inside, his unyielding defense and the overall desire and optimistic approach that the 26-year-old has for the game itself. Adding to the credible outing he had pre-Eurobasket, especially at the Olympic Test Event, the Londoner was certain to feature in the first Great Britain draft when the time comes for Finch to announce his preliminary roster. When London was awarded the Olympic Games in 2005, Boateng’s career was stalling at Duke, before he transferred to Arizona State. After leaving in 2010, the forward moved around the D-League, playing for Idaho Stampede and Austin Toros before reaching Greece, to play for Peristeri, who currently lay in 10th place in a Greek league dominated by Euroleague regulars Panthinaikos and Olympiacos. But it was his performances with the national team that caught the eye of the basketball fans, especially the Team GB clan. But before he was placed on the injured list, Boateng was enjoying life in Athens’ suburban municipality. While the big man cheers on his team from the sidelines, as Peristeri look to improve their 5-8 record, his mind focuses towards rehab and the chance to represent his country at his home Olympics. Something every aspiring athlete dreams of. 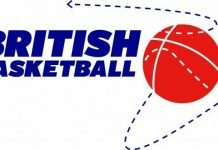 John Hobbs is TalkBasket's Editor and lead Euroleague and international writer and has covered the Euroleague, EuroBasket, FIBA Basketball World Cup and the Olympics for BBC Sports World, Catalunya Radio and SLAM. Test Event, Day 5: Australia win the hoops Ashes.